Ernesto Che Guevara: Nobody is going home on leave. We have only won the war. The revolution has just begun. Courtesy of Manhattan Productions Music, Inc.
Q: Why does Che tell his men to take the car back to its owner at the end of Part 1? Q: Why were Che's men seen breaking through the walls to get to the church? Q: Where was Part 1 shot? Che Part One is an interesting and enjoyable film about the Cuban revolution, that focuses on the infamous Ernesto 'Che' Guevara. The story follows Che from his first meeting with Castro, to the climactic battle in Santa Clara, where Batista's army makes its last stand against the revolutionaries. This battle scene is filmed guerrilla warfare style in an urban environment, with short bursts of action followed by silence as soldiers move into newer/better positions. It all feels very tense and realistic, which makes a nice change to the shaky cam explosion fests that we're used to. This style works well throughout the rest of the film but swaps the city for the jungle. The flash forward scenes where Che is interviewed and later addresses the United Nations, help to give the story, and Che, more depth and background, whilst giving us insights into his personality and ideology. Along with the battles, these scenes also help to break up the slower parts of the film. Cinematography in the film is good and occasionally great, with some stunning shots of the Cuban landscape. The black and white scenes are also well shot, without feeling out of place. On another positive note, Benicio Del Toro does an excellent job portraying Che. He is understated and believable as the man who wanted to change people's lives, focused on doing what he thought was right. 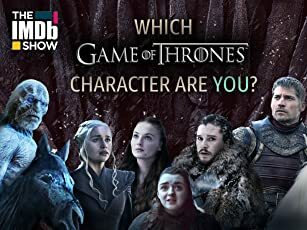 Unfortunately though, I had trouble caring about or even remembering most of the other characters, as dialogue between them isn't particular memorable. Sometimes you almost feel like you're watching a documentary that's trying to teach rather than entertain and this can start to wear, especially when you're reading subtitles. Che may also be shown in a better light than some would like, although honestly I feel the film is fairly accurate in its portrayal of the man and the history. 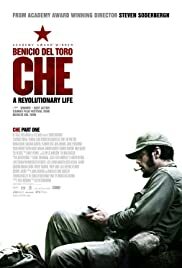 I'd definitely recommend this film to anyone interested in Che or the events in Cuba. Even if at times things do get a little slow, it's still a rewarding and informative experience.